There are a few communities in Bakersfield that exude luxury, Seven Oaks Homes for Sale in Bakersfield fit the bill. With one of the best school districts and many of the best schools in Bakersfield servicing the areas it’s no wonder why so many choose to buy a home in Seven Oaks and raise a family. Homes in Seven Oaks are highly desirable because they’re close to major shopping, restaurants, parks and homeowners in the community even have their own golf course and country club! As if this community already didn’t offer enough, a huge upper-end shopping center was just built close to the community that features stores like; Nordstrom Rack, Sprouts, BevMo and restaurants like California Pizza Kitchen, P.F. Changs and Elephant Bar your sure to find everything you need in one place. There’s even an outside amphitheater, Brighthouse Amphitheater features many events, click here to check out their event calendar. 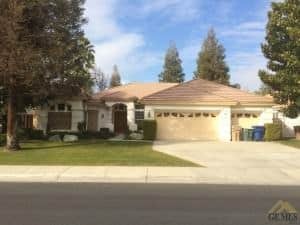 Seven Oaks Homes for Sale in Bakersfield range in price from approximately $300,000 to $3,000,000. You know the saying; location, location, location, the higher end priced homes will most likely be located on the golf course. The lower priced homes will serve a 55+ community within Seven Oaks called The Greens. If you’re not quite 55 and you don’t feel like dropping millions on a home, there’s still plenty of homes for sale in Seven Oaks to choose from. Homes that don’t fit the aforementioned statement also range in price but an average home in Seven Oaks will cost you approximately $600,000. Many families choose to live here because of the great schools. Homes for Sale in Seven Oaks are served by the Panama-Buena Vista School District and depending where you buy in Seven Oaks will determine your school zone. The three elementary schools that are served by the community are Leo Hart, Buena Vista and Ronald Reagan, Ronald Reagan Elementary is located within the community of Seven Oaks and is a highly rated school. Earl Warren Junior High and Tevis will be home to the Junior High School students that lives within the Seven Oaks Community. Lastly, Stockdale High School will be the high school serving students from 9th to 12th grade in Seven Oaks. If you’d like a free list of Seven Oaks Homes for Sale please contact us. We’d appreciate the opportunity to assist you in locating homes for sale in Seven Oaks.